I’ve just recently completed 4 weeks of delivery of Respectful Relationships and Peace Kids programs at Salt Spring Island Middle School. This is my first time in my role as male facilitator in these programs working alongside Christina Antonick, an experienced facilitator. What is Peace and Not Peace (Violence). Powerful skills in a world that is still very much learning them as well. I find that definitions can be limiting and problematic, and I’d like to see if I can encourage you to think for yourselves about what this word, or movement, or ideology might mean to you. Instead I’ll start by providing a few different definitions I’ve come across that I like, and try to give evidence as to why I think that feminism is a topic vital of covering here. Bell Hooks describes feminism as the movement to end sexism. Others say it is a collective effort to dismantle patriarchy. A common definition is the aim to strive towards political, economic, cultural and social equality for women. I say “for women” because throughout history (at least in the Western world) feminism has largely been coined as a “women’s” fight or movement. I’ll talk mainly about the West because that is the world that many of us find ourselves situated in. I think that when we discuss any kind of social justice work, it is vital that we start with ourselves. We have the first wave and the second wave and the third waves of feminism, and I am not going to deny that there have been pivotal moments throughout our history that have largely influenced where we are today in terms of equality. We’ve made some huge leaps. However, I am curious about the spaces between these moments – what has and still is falling through the cracks, and how each and every one of us participates in ways that allow us to be complicit in systems that work to recreate and maintain social inequality. I have come across a lot of people that shy away from the word feminism. I believe that this word is misunderstood. For myself, feminism has never been an attack on men, but people ask all the time, why not humanism? I’ll give you the short version of my response: many of the systems we live in here, are patriarchal. Unfortunately, gender-based discrimination is still pervasive in our culture; unequal pay for the same work, sexual harassment and abuse, sexist comments, and still the constant message that one half of our worlds’ population is worth less than their male counterparts. We are often bombarded with media and messages about what a “feminist” is. I see a disconnection between what feminist ideologies have sought to uncover or achieve, and common perceptions or stereotypes of what feminism is or should be. The self-identified feminists I know are curious about social inequality. I have witnessed many, across any gender category, who do “feminist work” that have often been silenced in sometimes disturbing ways, because to question the systems and social norms we exist within means questioning the ways in which we ourselves perpetuate them. What I have come to learn about feminist theory is that many feminist academics don’t believe in an end goal of perfect equality for all. They seek to find ways in which to address how or why we live in a socially unjust world, and provide insight into ways that we might seek to do better. Let’s take an oversimplified example and contrast a child living in the Western world, say Canada, who never goes without, and is surrounded by TV screens with a child living in Sub-Saharan Africa, who has a plastic bottle to play with. How do we compare their happiness? I think that many feminists I know would agree that “equality” across the board is not necessarily going to be the answer. Better quality of life is going to look different across different contexts. One of the things that I admire about feminism is that it tends to cherish complexity. The Salish Sea Girls’ Leadership Project seeks to develop leadership skills in young women. This work has provided me with a window into the ramifications of living in what I call, a wounded world. It has forced me to look at myself, and listen to how my peers suffer from the same fears that I did and still do – feelings of inadequacy, barriers keeping them from stating how they truly feel, loving whom they truly want to love, striving for what they truly want, and caring for their bodies amidst the pressures of an unattainable ideal of beauty. Despite having been handed immense amounts privilege, too many of us are hurting. In the Girl’s Leadership project, I have been witness to the power of what I call feminism. We speak honestly, curiously, and approach conversations with open minds and hearts. What really hurts is that we live in a world where men and women are expected to BE certain ways. A world where men are dominant and women subordinate and anyone in between doesn’t even fit inside the frame — a world without a Salish Sea Boys’ Leadership Project. I grieve for that world, and I’m sad for men. In the past, feminism has targeted and been exclusive and sometimes it has had good reason to be. It’s 2015 and we live and exist in this world together. No one benefits from oppression. No one benefits from a world where men are told not to care and not to cry and women are told be quiet and comply. What I see is feminism bringing light to the tangled mess that we’ve made of our society. I don’t think that it is the word Feminism that scares us, or even it’s connotations. What scares us is the the potential that if we could be honest with ourselves and the way things are going in our world, we’d see that they are pretty messed up. That would call into question a lot of truths we (often somewhat unconsciously) hold about others and ourselves. I am a woman. I am cisgenderd. I am white. But what do those categories do for me? Why am I allowed to participate in spaces where I can be emotional, open and honest with my heart? What are the kinds of barriers I may or may not face as I move through the world as a result of both my privileges and oppressions? I think there is value in asking questions about the way the world works, and noticing how that directly impacts who we are. Only then can we forge a path towards the kind of world we want to live in. Feminism has allowed me to find agency in awareness, both open-mindedness and critique, and curiosity. I wish I could somehow make feminism more accessible, because I think that the world could be a better, more socially just, place if we were all a little bit more curious, and a little bit more honest. I think the best place to start is with ourselves. So I boldly encourage you to ask more questions and to be more honest, whatever that looks like for you – also, unabashedly, to promote feminism. On May 25th girls from the Salish Sea Girls’ Leadership Project and recruits from grade 12 at GISS (Gulf Islands Secondary School) entered the high school to talk to the grade 11 students about sexual health and consent. In my own experience, and in speaking with young people in my community, the process of negotiating consent seems to be conflated with a multitude of pressures. R+R has definitely helped to create dialogue amongst youth. However, aspects of negotiation that are rarely discussed are the roles that power, privilege and stereotypes play within everyday expectations of what it means to be a sexual being. Rejection came up as another challenge when talking about consent, and consumption of drugs and alcohol also complicate any form of negotiation. I believe that any time a pair of people negotiate consent, they bring expectations about gender identity, sexuality and experience. We opened our workshops with conversations about stereotypes with the hope that students and our facilitators might address some dynamics of power/disempowerment that exist in our day-to-day lives. I felt we only skimmed the surface; still, our object was to invoke conversation about how we identify, and how this might influence the way that we treat one another. In discussions after our role-play on consent, we questioned why certain stereotypes came up, where they came from, and how they might be debunked. While Canadian law clearly states that you cannot receive consent from someone who is intoxicated, the reality is that youth are negotiating sexual activity in the same moment that they are dealing with substance use. Our team of facilitators decided collectively that the best message to promote was a sober, enthusiastic yes, but conversations about these issues need to keep happening, because there is clearly no hard and fast solution. First and foremost, the process of negotiating consent is dependent on those involved. Regardless of social pressures, they decide how those interactions play out. As much as we could all encourage vulnerability, open communication, safety and consent, I believe it will take a lot more than an afternoon of conversation to instigate consenting sexual activity across the board. There is a deeply gendered history of non-consenting sexual interactions. Still, the fact that conversations are even happening with youth today might mean that we are moving forward in a positive direction. I returned home after our workshops and talked with my family and friends about consent, and perhaps students in grade 11 and our team of facilitators did the same. Good News! 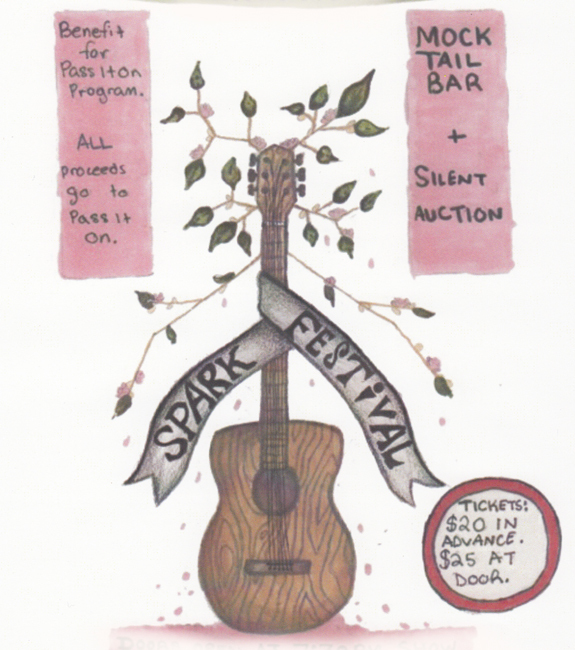 Sparkfest is weeks away, and we are all getting very excited for our 5th annual Pass It On benefit. Sparkfest will be held on April 30th at the Harbour House Hotel. 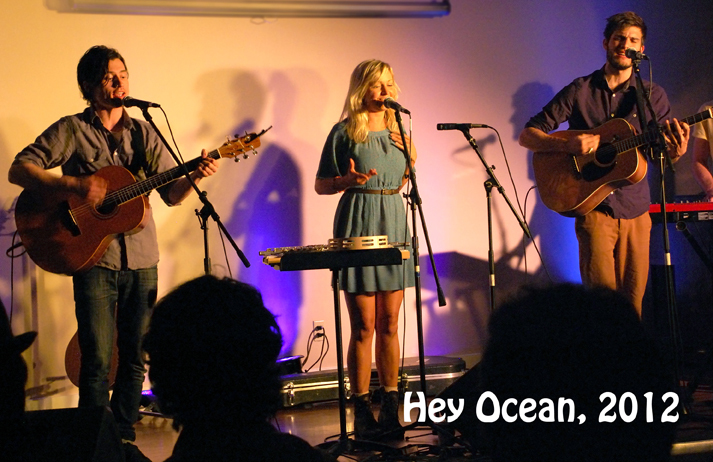 This year’s generous performers are Ashleigh Ball from Hey Ocean; the Brony documentary; Tara Maclean; Suzanne Little; spoken word from Morgan Klassen; improv from the ladies only GISS imrov team; and Pass It On youth participants will share their stories and talents. To top it all off we will have our amazingly stacked silent auction. Every penny goes towards running the Pass It On program. Pass It On is one of several programs for youth operated by SWOVA. Please come out to support this intimate and amazing night. Youth, just like adults, face many stressors. Stress can have negative impacts on individual lives and create obstacles in relationships. In my experience I see youth as young as 13 years old feeling stressed out and overwhelmed on a daily basis. Stress affects both our physical and mental health. Understanding how each of us experiences stress and how our bodies react can be a powerful indicator in identifying our stressors and decreasing its effects. Symptoms often start in the mind, but are usually not recognized until they manifest in our bodies. Some of the symptoms of stress are: worrying, forgetfulness, exhaustion or feeling overtired, feeling unwell, knots in the pit of your belly, sweating, headaches, body aches and thoughts of running away. Some of the triggers that cause stress are; dating relationships, relationships with parents, lack of money or difficulty managing money, increased responsibility, sexual orientation, gender identity, death or illness in the family, homework, deadlines, grades, social stressors, and graduation. When we don’t pay attention to stress it can manifest in our lives as unhealthy behaviours, such as drinking or smoking too much, risk taking behaviours, being overly critical of yourself and others, lack of self-esteem or spending a lot of time in front of the TV or excessive online gaming, or/and withdrawing. Stress can be an underlying factor in other mental health issues such as anxiety and depression which can lead to self-harm and suicide. Move – go for a walk, hike or bike ride, turn the music up and dance like nobody’s watching. If you have a sport that you enjoy, go out and do it. A regular physical hobby will also help to keep your daily stress down. Be artistic – paint a picture, knit a sweater, play your guitar or simply sing a song. Giggle – watch a movie that makes you laugh or hang out with those friends, that together, you laugh till your sides hurt. Breathe – focus on your breathing. Practice mindfulness, or mediation. Volunteer – Do something for someone or simply practice random acts of kindness. Gratitude – Think of or make a list of all the positives in your life. Think of all the things you have learned in the last year or an issue that you have moved past. Feel – recognize where you are and what you are feeling and understand that nothing is permanent. Talk – about how you feel with a friend, parents, or someone that makes you feel safe. Remember that stress is an individual experience and it looks and feels different for everyone. Everyone will experience some stress in their lives – how you manage your way through it is up to you.